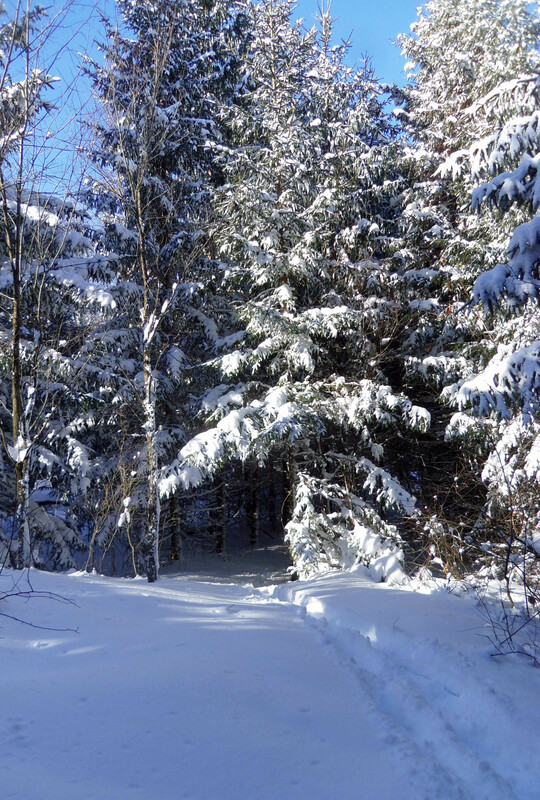 Out on my first snowshoe hike of the winter, Jan 26th, pics above & below. I am declaring it officially the start of snowshoe season here. It’s a somewhat subjective decision… based generally on snow getting to more-or-less the depth of my knee in open areas, but also on (a) how clumsily I move around with just boots on my feet and (b) observing that Oscar, a medium-to-large size collie-cross has switched from walking to bounding (think small deer or large bunny) because the snow is now higher than his chest. “Snowshoe season” usually starts sometime in January but has also, in my 9 years here, began in December and in February. This year, I wasn’t sure it would start at all because though snow arrived early (see Nov 10th blog post) and stayed white ever since, it hadn’t been amounting to much. We have another 10-15 cm in the forecast for tomorrow… it’s amounting! 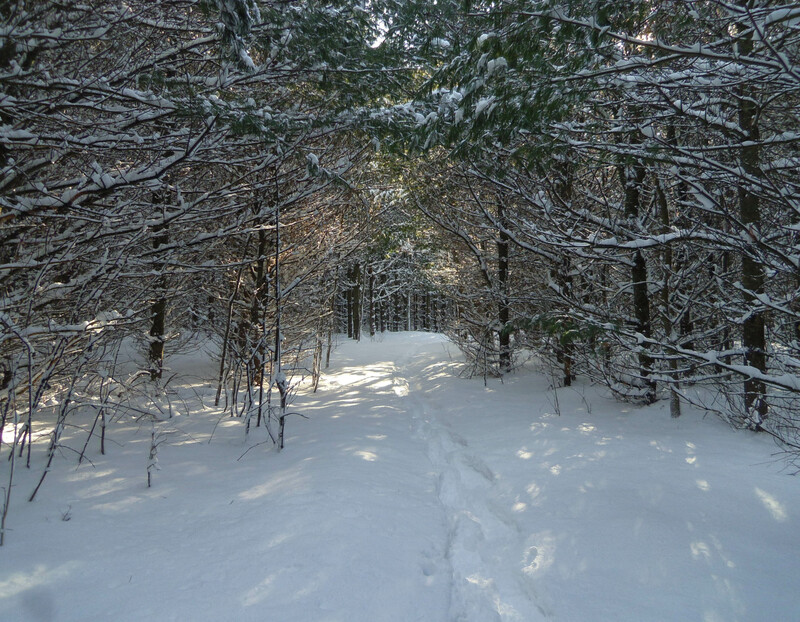 In addition to the 4km of trails on the property here, there are several great areas nearby for winter hiking. And if you don’t have your own snowshoes, I have a couple of pairs I loan guests at no charge.